Liz Cadzow and Michelle Redman who with Miranda Wills are giving back through boogie! 182860_02. Picture: Rob Carew. Warm Up Ya Wiggle and Boogie for Bali is a fabulous invitation in the middle of winter, but there’s a whole lot more behind it. 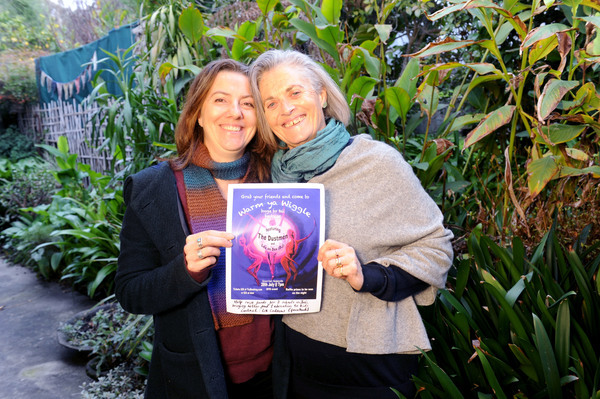 Friends Liz Cadzow and Miranda Wills are part of a group of Healesville women heading for Bali on an annual retreat organised by movement therapist Michelle Redman. Michelle puts together the retreats which Liz said takes participants on a wonderful, mindful journey through Yin Yoga, Qi gong and meditation. “In addition to this, her philosophy is to give back to the community that the retreat is held in,” Liz said. The Tejakula Scholarship Program will help students from poor families continue their education, providing greater potential to go on to further study while Kutuh School will receive assistance with nutritious foods. “We receive so much when go to these third world countries and I believe we should be giving back to the communities we visit,” Michelle said. Over the past four years the retreats have raised over $30,000 supporting clean water for villages, building a house, building wheel chairs for landmine survivors and putting money into schools. “The focus this time on keeping girls in schools. We stay a week, we don’t get overly involved, the communities direct us,” she said. Liz and Miranda’s Warm Up Ya Wiggle and Boogie for Bali is part of the 2018 fundraising effort and a fun way that the wider community can help achieve those goals. There will be some great bluesy grooves from local band The Dustmen and tunes to get you moving on the dance floor from DJ Lex on Dex. Thanks to the support of local businesses, there will also be lots of opportunities to win fabulous raffle prizes. or $22 at the door on the night.